Edge Dominos maintains the traditional number pattern but innovates by using solid aluminum and removing all excess material. Travel-size and light weight, Edge works just as well on the go as it does around the home. The durable black metal finish and laser engraved number pattern will never scratch off, ensuring that the game will be played for generations. 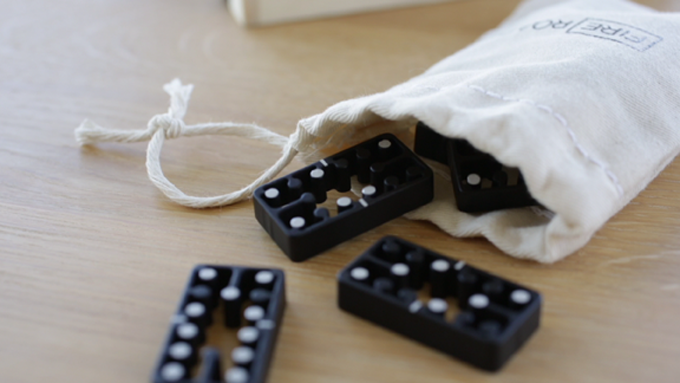 Minimal and unexpected, Edge Dominos brings new life to a classic game. 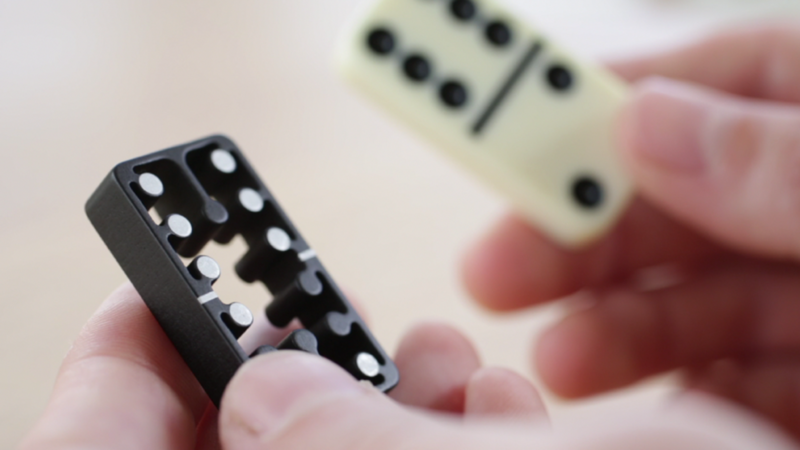 Edge dominos are made differently from any other domino set. Every tile is extruded from a solid block of aluminum, which is a zero waste process and the material is 100% recyclable. The metal flows into shape, is then cut to length and finished with a durable matte black anodized coating. Each unique number pattern in the 28 piece set is laser engraved onto the tiles, creating bright, white and everlasting dots. The result is a quality domino that looks great, plays well and is 100% made in the USA.